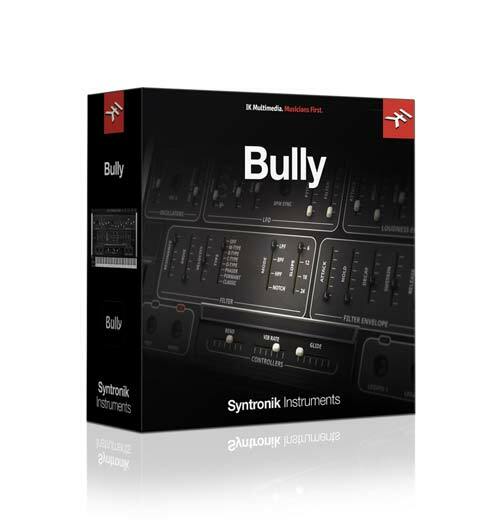 Syntronik’s Bully recreates the thunderous bass sounds of the Moog Taurus series. 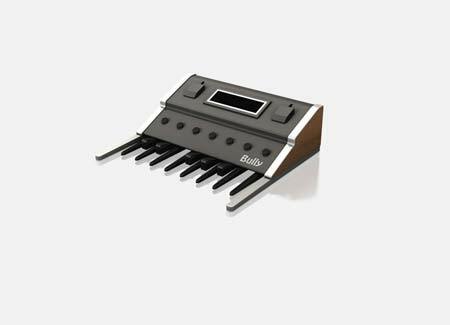 This organ pedal-style synthesizer is a much-treasured chapter in synthesizer history. The first version of the Taurus became an instant classic in the mid-70s with its distinctive oscillator detuning and unique-sounding sawtooth waveforms. The Taurus II, was based on the Moog Rogue and was never as popular despite much added functionality. The third version, released 35 years after the first version, recaptured much of the glory of the original design along with some additional modern functionality. All three versions of the Taurus are represented in Syntronik. The slow-sweeping low pass filter with little or no resonance is a signature Taurus sound with its massive low end. Famous users were Rush, Yes, Genesis, U2 and the Police. All three versions of the Taurus are represented in Syntronik. The slow-sweeping low pass filter with little or no resonance is a signature Taurus sound with its massive low end. Famous users were Rush, Yes, Genesis, U2 and the Police.